Double the exposure, double the fun? 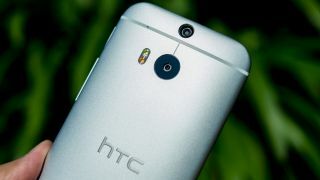 HTC will be hosting an event on October 8 in New York City. The event, titled "Double Exposure," offers little in the way of teasing. But of course, this won't stop us from speculating. The company sent out invitations with the focal point on its excellent HTC One M8. Could we be hearing something about an updated Duo Camera? A more zany speculation could be that HTC will announce an attachable lens, similar to the Sony QX1. The subjects of the invite look like they could also be taking a (rather dull-looking) selfie, which might possibly suggest something in the way of new features or a bump in image quality for the phone's front-facing camera. Either way, we'll be there to see what HTC has cooking. Take a look below at the invite for yourself and tell us what you expect to see.